Updated Tuesday December 4, 2018 by Operations Office. Palisades High School Turf Rentals - Teams may opt to rent turf directly with the school district. Effective 11.02.18 - Teams may secure the field online and must list the CBAA/BUSC President as an additional Contact for invoicing purposes (becky.barlow@cbaasports.org). The club will pay the rental on your behalf and deduct from your team bank acccount. Please click link below for procedures and to submit your requests. All field and facilities rentals of CBSD for BUSC/CBAA Soccer Programs must follow the procedures as set below. Call the school to verify date(s) and time(s) of your request. Complete BUSC/CBAA Soccer Facilities Use Form Request below. This is a customized form for CBAA/BUSC. The form must be signed by the Soccer president. Payment by the team will need to be processed online at the online store (BUSC/CBAA) in full prior to dates requested on your form. In order to reserve space in one of the CBSD’s buildings or an athletic field, you must complete the customized BUSC/CBAA Facility Use Request Form(below). 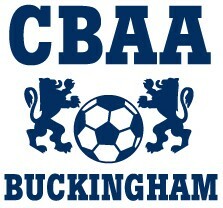 CBAA/BUSC and CBSD have a form in place to be used and all requests go through the soccer office. The completed form will be signed by the president and forwarded to the administrative offices at CBSD. The administrator in that building will confirm that the requested space is available. Your request will then be reviewed by the CBSD Operations Department to verify that all facility use requirements are satisfied (i.e. insurance, function is appropriate, etc.). You will receive a confirmation of your reservation along with an estimate of the approximate cost of your rental from the soccer operations office. Buildings are only available for rental during the school year. Gym Space must be secured through the Skedda system. The form below must be used (signed by pres. and submitted by socer office).